Today’s service for Mothering Sunday at one of our two smaller churches was a bit of an experiment. So different was it from what we’ve done before, that I was really worried about how it would go down, and was awake about three hours earlier than I am usually, worrying about whether it would be a complete disaster! “Oh, ye of little faith!” It was very well received, with all the congregation, from the youngest aged 2, to the oldest aged 92, with both ‘regulars’ and a family who were attending for the first time, saying how much they appreciated and enjoyed it. I put the liturgy together using a number of sources. Some of it came from the Church of England’s Service of the Word for Mothering Sunday, found in New Patterns for Worship. I used the Preparation and Lighting of the Candle, The Song of St Anselm, the prayer over the flowers, and the Blessing, but altered so that the language about God and the language about mothering was non-gender specific, and encompassed all who mother us. Other parts of the liturgy came from a sample all-age service for Mothering Sunday which is Appendix 2 in ‘Creating Missional Worship’ by Tim Lomax. We used the ideas for Confession, and some of the Prayer Station ideas. Other Prayer Station ideas came from a session led by Margaret Pritchard Houston for the Readers of this Diocese. The readings were very short: Isaiah 66, 12-14 and Matthew 23, 37. The hymns were mostly traditional: ‘Lord of all hopefulness, Lord of all joy’; ‘Make me a channel of your peace; and ‘Now thank we all our God’. But we also sang new words to the tune of ‘All things bright and beautiful’, written by Revd. Ally Barrett, which can be found here. The short sermon I preached is here. At the centre of the worship were a number of prayer stations. Everyone in the congregation was invited to get up out of their seats, and to move from station to station, praying at each; or to stay at just one or two; and everyone did! There was a station for quiet prayer, with printed prayers for mothers, to be used if people wished, and candles to light. There was also a station with information about refugees: the local collections for refugees in Syria and France and the dreadful treatment meted out to pregnant Rohingya women. As they looked at the belongings a refugee woman might take with her, people were invited to pray for refugees, and mothers in difficult circumstances. At the altar was a ‘washing line’ and cardboard cut-out shapes of clothing. On each people wrote thankyous for people who showed motherly love. These were then hung on the line with brightly coloured pegs. This was really popular with all ages, and the ‘clothes line’ has been left in place. Another popular prayer station was the one where people were invited to reflect on what they hoped for, then plant ‘seeds of hope’ in the potting compost provided, label it with their hope and take them home to nourish their hope until it grows into a flower or a fruit. I wonder whether we will see what comes of all these hopes. I hope so. In the small space where the bell rope hangs, we had a prayer station where people could reflect on the disappointments, problems and pain that mothering, or being mothered had brought them. Play dough was provide so that people could model something that expressed their sadness or regrets. It was a space where only one or two people could be at any one time. The children just took play dough and made what they wanted, but it proved a very emotional for one member of the congregation, who shad tears as they reflected on the hurts of their childhood. A black tongue expressed what they felt. The last station had an outline of a heart on the wall, and people were asked to create a Wordle by writing within the shape a word or words that celebrated the love they had been given. There was a lot of conversation around this station, especially about the joys and sorrows of mothering. Our prayer time finished when I began the Lord’s Prayer, and everyone joined in where they were, before returning to their pews as we handed out the traditional Mothering Sunday bunches of daffodils. There were enough for all the adults in the congregation, with enough over for people to place on graves in memory of mothers and grandmothers who had died. Afterwards, there was the opportunity for reflection and pastoral conversation, as well as expressions of appreciation. It was genuinely All Age Worship, engaging young and old, regular churchgoers and newcomers, people of all abilities, including a young woman with Downs Syndrome, men and women, those who were mothers, and those who had no children. Something to try again, I hope. It was really worth all the planning and anxiety. So sad. A strong influence on my thought. 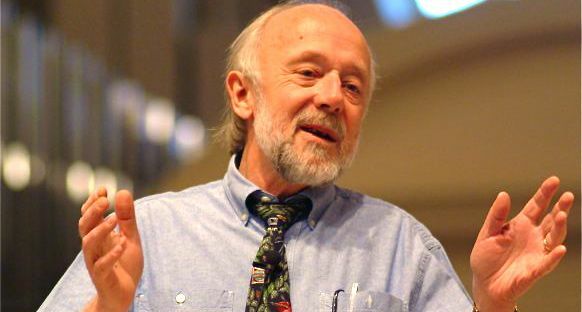 Marcus Borg died this morning after a prolonged illness. I received a phone call this afternoon from a Cathedral parishioner and friend of Marcus, relaying the news to me. I first became aware of Marcus Borg when I was a sophomore at Hendrix College. His landmark book, Jesus: A New Vision had just been released. It hit me at exactly the right time. I was a philosophy & religion major who knew God and increasingly knew about God, but I had little room or need for Jesus. Marcus’ book gave me an entirely new access point: to consider Jesus as Jesus had been historically, as a wisdom teacher, a healer, a social prophet, and more. The children’s address today involved an illustration. 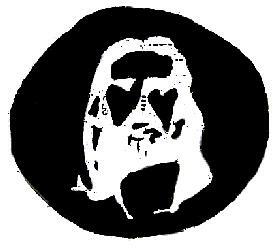 You are supposed to stare at the four dots in the centre for 15 seconds, then close your eyes, and in the white ring you should see the face of Jesus. Does it work for you? This article needs to be heard. What made the breakdown so devastating was that I didn’t see it coming at all. It had been a fairly good week, and I, for the most part, was feeling perfectly happy and content.